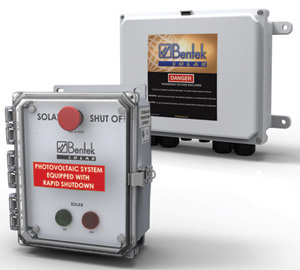 SAN JOSE, CA ― May 2015 ― Bentek Solar, a manufacturer of a broad range of products connecting PV panels to inverters worldwide for the residential, commercial and utility-scale marketplaces, announces that it has further expanded the Bentek AC product line. The newly designed AC Recombiner has been engineered in partnership with Advanced Energy Industries to support utility-scale AE 1000NX inverters. For more information about the capabilities of the Bentek Inverter RSS with the integrated Power Econimizer, please contact Bentek at 1-866-505-0303 or visit www.Bentek.com. Advanced Energy (Nasdaq: AEIS) is a global leader in innovative power and control technologies for high-growth, precision power conversion solutions. Advanced Energy is headquartered in Fort Collins, Colorado, with dedicated support and service locations around the world. For more information, visit www.advanced-energy.com. 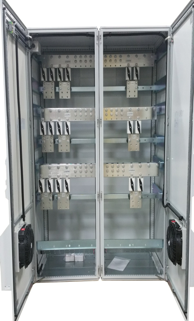 SAN JOSE, CA ― May 2015 ― Bentek, a manufacturer of a broad range of OEM power distribution products for the residential, commercial and utility-scale solar PV marketplaces, has succesfully integrated the Bentek proprietary Power Economizer into the Bentek Residential Rapid Shutdown System (RSS) . The Bentek RSS is a cost-effective and easy-to-install universal stand-alone solution that has been tested and approved by some of the largest residential string inverter manufactures and installers in the world. It includes two components: The Rapid Shutdown Controller (RSC) installed at the service entrance and the Rapid Shutdown Module (RSM) installed on the residential roof top within 10 ft of the PV array.